Posted in: Uncategorized. 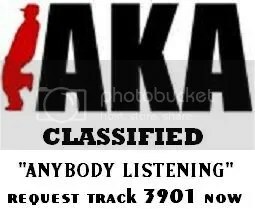 Tagged: CLASSIFIED HIPHOP ANYBODY LISTENING VIDEO. 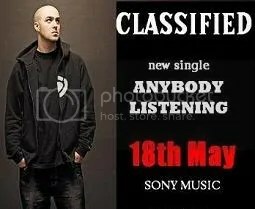 Canada’s Classified is marking his debut UK release “Anybody Listening” on 18th May 09, with some serious key support from the UK media. 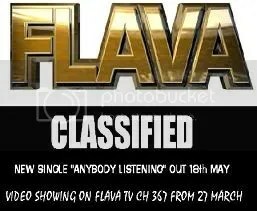 “Kardinal Offishall kicked down the door in 08, Drake tore it off the hinges, and it looks like Classified is set to take the Canadian invasion to a next level. He’s one of Canada’s top & most prolific hip hop MCs, already known by the heads over the years for many releases on his own Half Life Records label. Taken from his new album SELF EXPLANATORY, UK djs have also been hammering out tracks such as Loonie feat Shad K, DL Incognito & Buck 65, Trouble & Quit While Youre Ahead ft Choclair, Maestro & Moka.